When Nissan’s Tetsuya Iijima envisions the future of driving, he’s not only thinking about how autonomous driving will impact the "behind-the-wheel" experience but how to help society prepare for it. To see the autonomous driving fully integrate into daily life, solving the many technological challenges as well as societal acceptance are key. "People need to have a positive mindset to introduce the technology," said Iijima, General Manager of Autonomous Drive Technology Development Department at Nissan Motor Co., Ltd.
For consumers, adoption of new technologies is about trust, and essential to that is understanding. According to Iijima, "For society to change… people need to understand that this is good for their future. Then, customers need to understand what the technology can offer." This is not a new concept for Nissan, which has a long history of introducing advanced driver assistance systems — or ADAS — using a step-by-step approach. Iijima began at Nissan working on electric-controlled suspension, in which cars react faster and absorb more bumps on the road. Iijima also helped to pioneer Nissan’s adaptive cruise control, lane departure prevention systems and emergency braking. All were at once unknown technologies, but are now widely adopted and have helped change transportation. Thanks to a history of innovation, Nissan is taking a step-by-step approach in introducing autonomous driving technologies to market. And that’s exactly what Iijima sees as the focus. "It’s a step-by-step educational approach that allows drivers to experience the technology one feature at a time and directly see the value it offers." Education is critical, but it’s not the only focus for Nissan. According to Iijima, the future Nissan hopes to engineer is one in which affordable and widely-deployed autonomous driving technologies enable safe and efficient transportation for many. 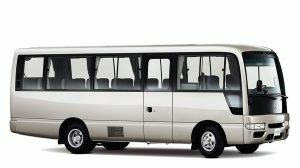 This can be seen with the introduction and popularity of the Nissan Serena in Japan earlier this year. The Serena is now a top-selling model in that market and features new technologies that can be used and experienced by many — not only in concept cars. Iijima’s focus now? 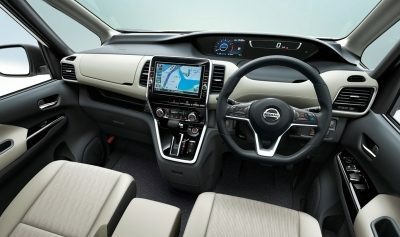 Nissan’s autonomous drive technology known as "ProPILOT", which gives drivers the choice of manually operating the vehicle or handing control over to onboard systems in certain situations. The first of these technologies, introduced in August, allows cars to assist drivers by steering, braking, and accelerating automatically and safely in a single lane on highways. In 2018, Nissan expects to unveil a "multiple-lane control" application that can autonomously negotiate hazards and change lanes during highway driving. Two years later, it plans to add the capability for the vehicle to navigate city driving and intersections without driver intervention. By that time, the Renault-Nissan Alliance plans to launch more than 10 models with significant autonomous driving functionalities in the U.S., Japan, Europe and China. Focusing on social acceptance will also allow consumers as well as involved governments, groups and other agencies, the time to consider the benefits of the new technologies. "There must be a huge change in government and society." Once autonomous drive technology reaches a certain level of technological advance, decisions must be made on driving infrastructure and laws to ultimately change society’s mindset. Education and acceptance will be important as the technologies further evolve. As Iijima notes, "My team will continue to work on advancing what’s possible to help create an autonomous driving future for all. We will share our vision so that one day everyone can picture themselves behind the steering wheel of an autonomous vehicle."